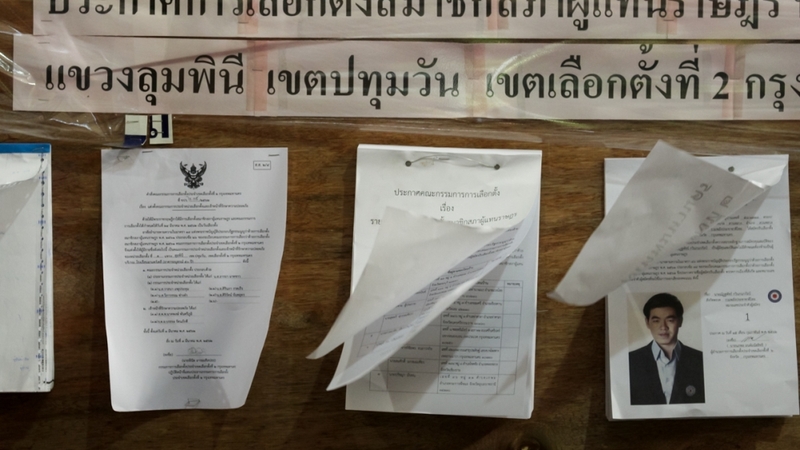 Bangkok, Thailand – Thailand started voting on Sunday in a long-delayed election that Prayuth Chan-ocha, the general who led the coup against the country’s last elected government five years ago, hopes will return him to power as a civilian prime minister. Polling stations across the country opened at 8am (01:00 GMT) and will remain open until 5pm (10:00 GMT), giving voters two hours longer to cast their ballots than in previous elections. About 52 million voters are registered to vote, some seven million of them for the first time. The vote is taking place under a new constitution that gives the military considerable influence over the country’s civilian politics and makes it difficult for any party to win a majority in the 500-seat lower house. The prime minister will be the person who secures a majority in both the houses, while the 250-seat senate is largely appointed by the military, which is likely to give Chan-ocha an advantage. Nevertheless, campaigning has been spirited and Pheu Thai, the party linked to the former prime minister and exiled tycoon – Thaksin Shinawatra – that has its power base in the rural northeast, is expected to win the most seats. Opinion poll results were banned in the final week of campaigning, but the Democrats under Abhisit Prayuth are expected to come second, followed by Palang Pracharat, the party set up to back Prayuth. A potential wildcard is Future Forward, a new party founded last year by car parts billionaire Thanathorn Juangroongruangkit that wants to reform the military, that has energised people with its message of change. In the sports hall of the Mater Dei School in central Bangkok, a steady stream of voters came to cast their ballot after the doors opened. Wararat, a dermatologist who brought her one-year-old daughter with her to the polling station, said the election was significant after so many years of military rule. She had decided to back Future Forward to “give them a chance”. The 35-year-old said she was tired of the political conflict that had divided Thailand and welcomed the return of democracy. Phatcharin Ayasahond, 55, agreed the election was important, but her main concern was to preserve peace and stability. The IT worker said she had been caught up in the violence on the streets of Bangkok in 2010 and did not want that kind of conflict to return. She declined to reveal who she voted for. Thais are choosing their representatives through a complicated system that includes both direct votes and party lists, and while the official results will not be announced until after the coronation of King Vajiralongkorn, the Election Commission of Thailand is expected to hold a press conference on Sunday night once about 80 percent of the votes have been counted. The king himself released an announcement on the eve of the election that was broadcast across national television to say that Thais should support “good people” to run the country. “It’s significant that the king made a comment so close to election day,” said David Streckfuss, an independent historian based in Khon Kaen in the northeast. Thailand has been consumed by divisions between supporters and opponents of Thaksin since he was elected prime minister in 2001 promising to help ordinary people who had long felt ignored by the traditional elites in Bangkok. Thaksin was overthrown in a coup in 2006 after mass street protests by the so-called “yellow shirts” and life in exile after being found guilty of corruption. He says the charges were politically motivated. The cycle of Thaksin-backed election win, instability and coup continued until Prayuth seized control of the country in 2014, banning political activity and cracking down on freedom of expression. Despite the ban being lifted to allow election campaigning, parties and candidates continue to operate in a restrictive environment. Thai Raksa Chart, another Thaksin-linked party, was banned and dissolved in February after nominating Princess Ubolratana, the king’s elder sister, as its candidate for prime minister. Thanathorn faces court on Tuesday for criticising the military. Parties need to secure 376 seats for a majority so it is possible for Palang Pracharat to form a government with only 126 seats in the lower house, assuming they have the support of the 250-seat upper house which is largely appointed by the military.